When you’re planning a romantic rendezvous with your special someone, you may want to avoid singles and families so you can truly enjoy time alone together. Most couples-only tours focus on younger honeymooners. Couples are more than welcome to join almost any tour group except singles-only tours, but it’s difficult to find tours reserved for mature couples. 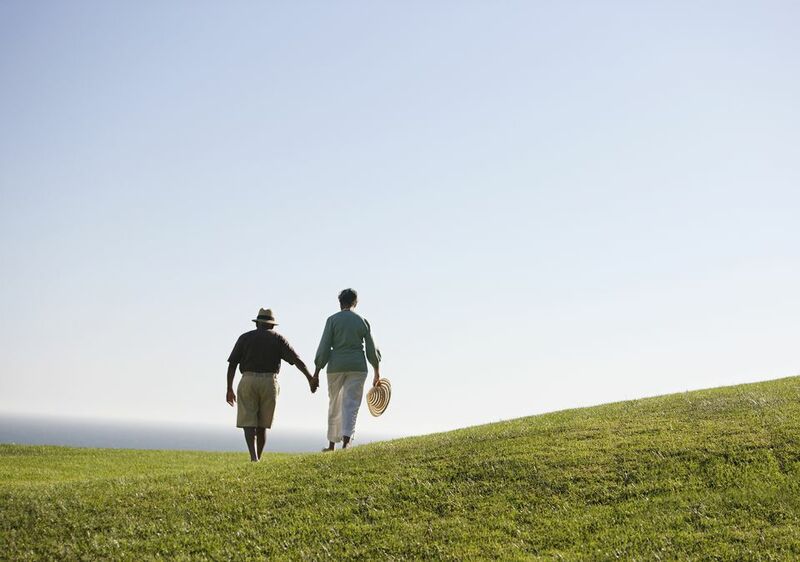 Senior couples who are contemplating a romantic trip do have some options. Consider some of these getaway ideas, or use them to jump-start your trip planning. For many seniors, the appeal of a tour group includes the freedom to relax and leave the travel planning to someone else. All-inclusive resorts offer the same type of stress-free travel. With few exceptions, everything you need – lodging, food and daily activities – are covered. Couples-only resorts range from relaxing, romantic getaways to all-night, all-out partying. Chances are, you can find an all-inclusive resort that gives you the chance to rekindle romance, your way. Bear Trail Couples Resort in Ontario, Canada, lies right next to Algonquin Park. This all-inclusive resort provides wilderness luxury to couples of all ages. You can sample the gourmet fare at the resort’s restaurant and enjoy an afternoon at the on-site spa. Borrow the resort’s fishing gear, kayaks, and canoes or rent a motorboat and venture out on the lake. You can also rent snowshoes, dog sleds, and trail horses in the winter; the dogs get the summer off. If you’d rather stay indoors and enjoy your romantic cabin or suite, you can relax in front of the fireplace (firewood is provided) or soak in your jacuzzi tub. There’s wi-fi access, so you can send the grandchildren a photo or two – maybe you’ll get a great picture of a moose. If staying in one place doesn’t appeal to you, why not book a trip to a resort that offers day trips? Sun Palace Cancun Resort could be your perfect romantic getaway destination. Not only do you have all the beachfront and poolside amenities you’d expect from a top-notch resort, you can also play golf or relax at the spa at nearby Moon Palace Golf & Spa Resort, also operated by Palace Resorts. When you feel adventurous, sign up for one of the Palace Resorts day tours. For example, you can visit Chichen Itza, recently voted one of the New 7 Wonders of the World, or see Mayan ruins at Tulum. Some vacation packages include tour fees. If a regular tour group isn’t romantic enough for you, create your own private tour experience. Private, customized tours, often called “boutique” tours, offer customized luxury travel. La Dolce Vita Wine Tours can create a customized, private tour for you. Pat and Claudio will guide you through some of Italy’s most historic and prestigious wineries. Whether you prefer Tuscan hilltowns or the sophistication of Piedmont’s Barolo country, you can escape to romantic Italy in custom comfort.